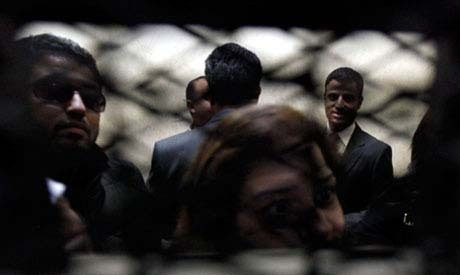 A court in Cairo has sentenced 43 people to between one and five years in prison for working for unregistered NGOs in Egypt. Twenty-seven defendants, all of whom were tried in absentia, received five-year jail sentences. Eleven received one-year suspended sentences, and five received two-year sentences. One of the defendants to receive a two-year sentence was Dar Al-Hilal publishing company CEO Yehia Ghanem, who was a consultant for the International Centre for Journalists (ICFJ), one of the NGOs involved in the trial. He was also the managing editor of Al-Ahram International. The court also ordered the closure of five foreign NGOs operating in Egypt and for their funds to be confiscated. These are the US-based Freedom House, the International Republican Institute, the National Democratic Institute (NDI), and the International Centre for Journalists (ICFJ), and Germany's Konrad Adenauer Foundation (KAS). The accusations against the NGO staffers included managing unlicensed branches of the International Republican Institute (IRI) between March 2011 and 29 December 2011, conducting research, political training, surveys, and workshops without licences, and training political parties and groups and giving them media support to generate electoral votes. The heads of NGOs were also charged with illegally receiving foreign funds. The IRI was accused of receiving $22 million, the National Democratic Institute (NDI) $18 million, Freedom House $4.4 million, the International Centre for Journalists (ICFJ) $3 million, and Germany's Konrad Adenauer Foundation (KAS) $1.6 million. The convicted people include 19 Americans, 16 Egyptians, as well as Germans, Serbs, Norwegians, Palestinians and Jordanians. In March 2012, at least thirteen of the foreign defendants, including several US citizens, left Egypt on a US military plane, shortly after the three presiding judges had recused themselves from the trial without giving a reason. Court of Appeal head Abdel-Ezz Ibrahim said an unknown judge had lifted the travel ban imposed on the foreign defendants. Many observers believe judicial independence was violated. Several judges have accused Judge Ibrahim of pressuring the presiding judges to step down in order to replace them with judges who would lift the travel ban. Forty-three staffers at foreign NGOs were referred to trial in December 2011. The case sparked a crisis in relations between Cairo and Washington and threatened $1.3 billion in annual US military aid.